Since 2015, officials from Michigan’s Department of Natural Resources have identified at least 50 cases of deer affected by Chronic Wasting Disease (CWD). This deadly disease is an infectious neurological condition that causes deformed proteins to eat holes in a deer’s brain. As the disease develops, it causes deer to become emaciated and delirious, eventually killing them. 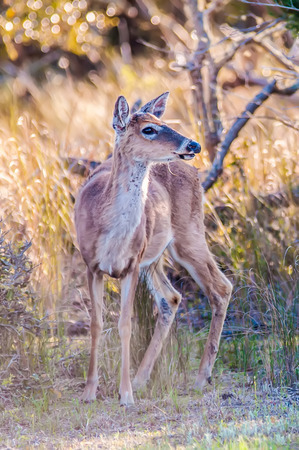 In the early stages of CWD when symptoms are difficult to detect, diseased animals can transmit the disease to other deer through direct contact, or indirect contact with infected bodily fluids. Working with a marketing company to develop and distribute educational materials about CWD to hunters. Partnering with other states affected by CWD to share research and management tools. Promote CWD prevention techniques at privately-owned deer farms and hunting businesses. Enact a statewide ban on deer feeding and baiting. With regard to the ban on feeding and baiting, the panel is particularly concerned about urine-based lures which are believed to facilitate the spread of CWD. Although stopping the spread of this deadly disease is sure to be difficult, DNR officials seem fairly optimistic about the endeavor. “While CWD presents a challenge, it also presents an opportunity to bring together deer hunting and conservation communities in order to ensure a healthy, sustainable deer resource and the future of deer hunting in Michigan,” said Russ Mason, chief of the DNR Wildlife Division in a recent statement. Stay tuned for more updates from your source for rugged, American-made hunting blinds and sheds: Productive Cedar Products.